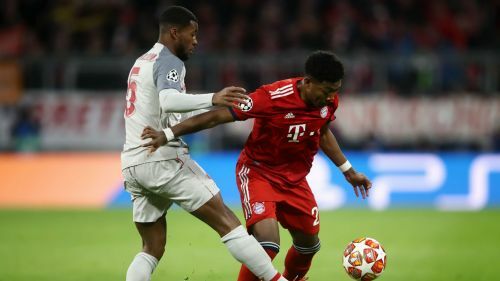 Liverpool took a "big step" towards proving to critics that they are the real deal with their Champions League elimination of Bayern Munich, according to midfielder Georginio Wijnaldum. The Reds appeared to be in a precarious position when they could only hold on to a 0-0 draw against Bayern at home last month. But Jurgen Klopp's side ran out 3-1 winners in Munich on Wednesday and rarely looked to be in danger of being dumped out of the competition. The victory booked Liverpool's place in the last eight, and Wijnaldum – who played the full 90 minutes at the Allianz Arena – thinks people will take them even more seriously after downing Bundesliga champions Bayern. "It was really good. We managed to win an away game at Bayern Munich – which is quite difficult," said the Dutch midfielder. "I feel like we've taken a really big step, because a lot of people said after the first match that it was not a good result to play a 0-0, but we had a good feeling about it because we didn't concede a goal. "We know the way we're playing, we can always create chances, so we were quite confident we would create chances [in Munich] and score goals. That says something about the team itself. "A lot of teams struggle here to get a result, but we still did it. We have a lot of confidence, but we also work hard to bring things together in a good way."